The children of the House of Hope have had their first music lesson. 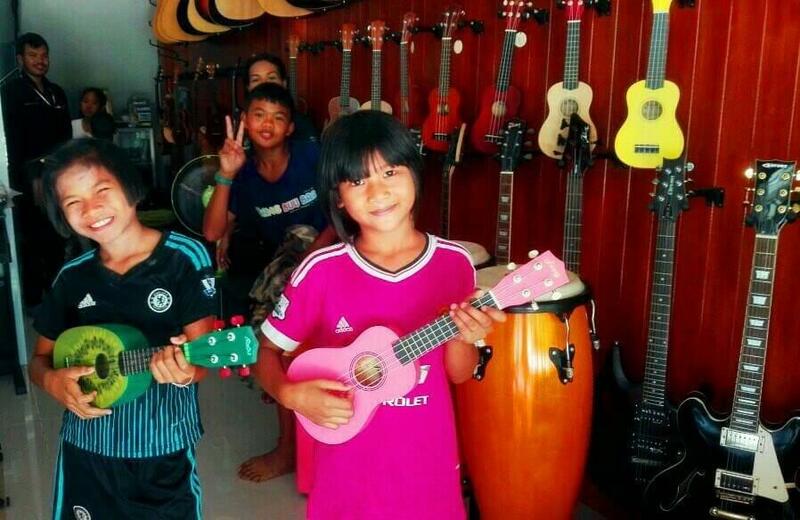 The music teachers of the music academy of Nang Rong introduced children to various instruments (guitar, ukulele, bass, drums and piano) and had them discover the (secret) joy of reading music. Our budding musicians will now have to choose an instrument before benefiting from private weekly lessons. The local team is confident that learning and playing music will help children to strengthen their creativity and foster personal development, expression and communication inside the group. >> For further details about our Education programme in Thailand. >> For further details about the House of Hope in Thailand.